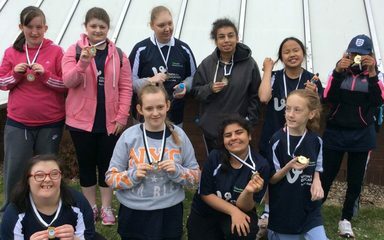 10 girls from Dryden played in the final Girl’s Football event at Walker Activity Dome today. They all received medals and the great spirit of Dryden Sport was praised by the coaches. Lilly scored 2 girls and Abbey scored 1. Well Done Girls!